Ella Mewhinney was born in Nelsonville, Texas, June 21, 1891. Her father, R.E. Koepke, was born in Germany and came to America at the age of eighteen. Her mother, Vlasta Massik, was of Austrian ancestry, her grandparents being early settlers from Austria, where the grandfather was a preacher and leader. The Koepke family moved to Bartlett when Ella was nine years old and at this age she began the study of music. After completing her High School work, she completed her education at the Texas Presbyterian College, where she had her first training, under Miss Mollie Bishop at the age of seventeen. About the same time she returned from college, the death of her father occurred, and she began to teach art classes in Bartlett and Granger, with pupils from Holland. 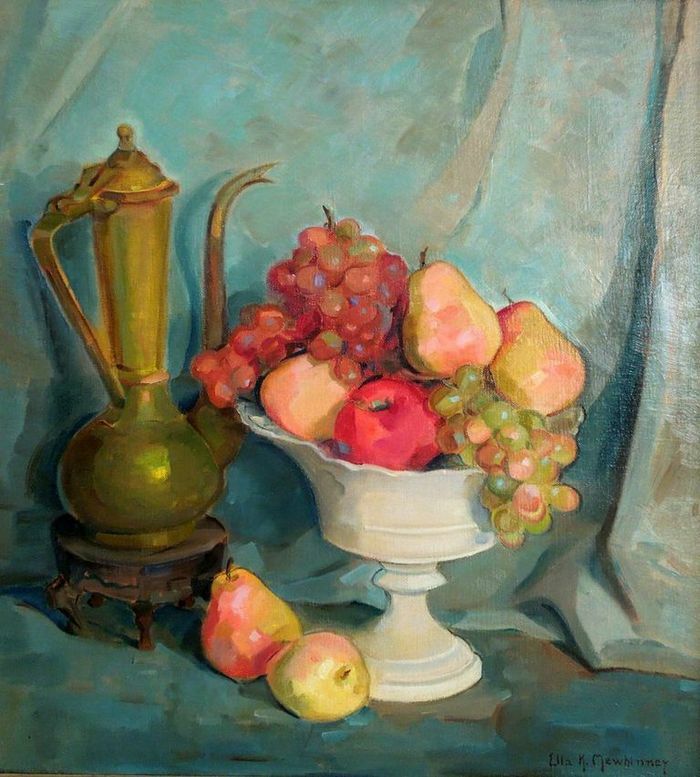 The following summer she studied at the American Women's League in St. Louis, doing flower painting and china, under Kathryn Cherry, with lessons in still life under Frank L. Phoenix, one of the instructors at the summer school, and won the scholarship in the still life class. Again in 1913, she studied china painting, going to Chicago with Mrs. Sam Crowther, whom she met while in St. Louis. Mrs. Mewhinney gave much credit to this friend, whom she credited with encouraging her, the most. In the summer of 1919, she spent six weeks in New York at the Art Student's league and studied under George Bridgeman and doing outdoor sketching with Hans Hansen. 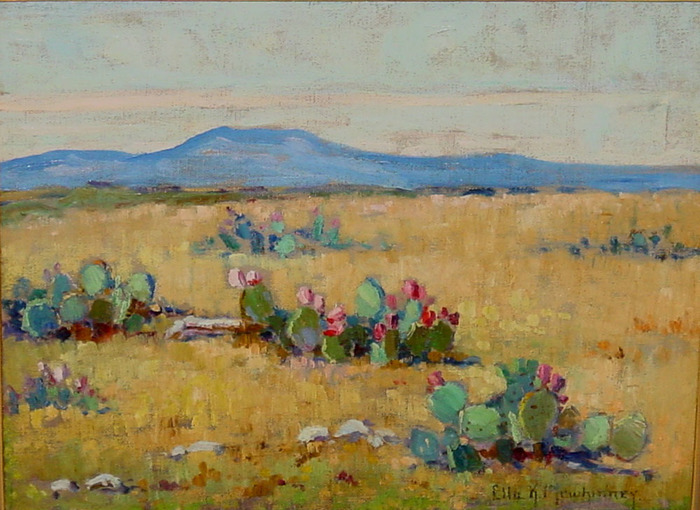 Then in 1925, she went to Colorado Springs and studied landscape painting under Randall Davey and portraiture under Robert Reid, N.A. In 1913, Ella Koepke married Logan Mewhinney of Holland, Texas. She had two children, Logan U. and Marie. 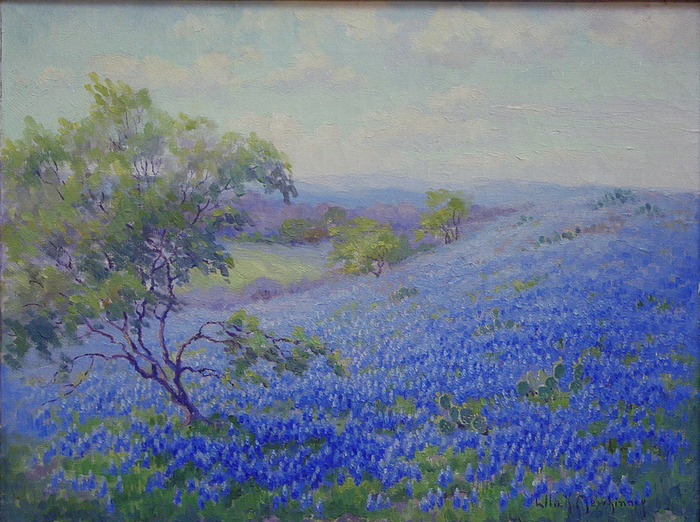 Her paintings were exhibited at the Southern States Art League, Witte Memorial Museum in San Antonio, the All-Southern Exhibition in Nashville, the Texas State Exposition in Austin, and countless others. She is well represented in private collections throughout the South.